Easter scrapbook ideas center around the bright colors of the holiday decorations and the excitement everyone feels when Spring is just around the corner. Take plenty of pictures of your kids dyeing their Easter eggs, shopping for new outfits, and enjoying their chocolate bunnies. Pair your favorite shots with bright and cheerful patterned papers as well as a few seasonal embellishments to create a layout that's sure to be a cherished family keepsake. If you're scrapping on a budget, use leftover brads, buttons, and epoxy stickers to make a colorful frame for your favorite Easter photo. Set off a simple sticker by adhering it to a vellum tag and adding a ribbon bow. You don't need to buy seasonal paper for your Easter photos, any brightly patterned paper will work just fine! Aside from eggs and bunnies, flowers are a natural embellishment choice for Easter layouts. Mix and match chipboard letters for a title with a quirky look. Can't decide which photo you like best? Print them as one large collage. Looking for more holiday projects? 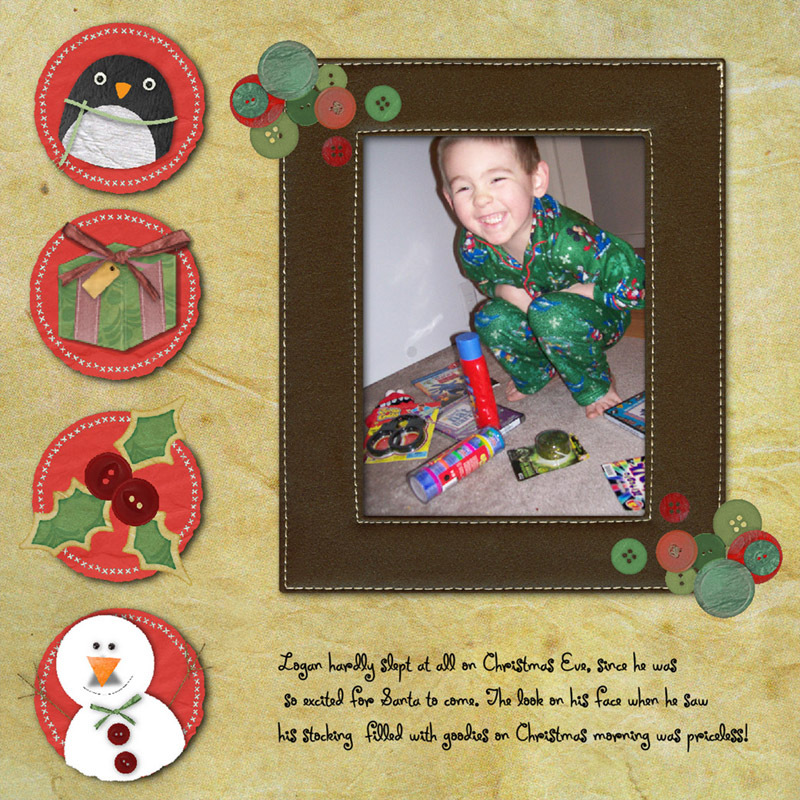 Check out these Christmas Scrapbooking Ideas.